Just over a decade ago there wasn’t an emerging voice more exciting than hers in music. The London-born, Sri-Lanka raised artist’s debut, ‘Arular’, was a striking listen – a politicised, mish-mash package of global sounds, delivered with a message that was flaming, fierce and forceful. Written across continents after she was refused a visa into the US, it’s follow-up, ‘Kala’, arrived two years later. It encased the Diplo-produced megahit ‘Paper Planes’, a direct response to western attitudes around immigration, and a track that’s dwarfed anything else she’s done since due to the success of Danny Boyle’s Slumdog Millionaire movie. This outsider provocateur was suddenly a big, mainstream pop star. In 2009, on the day she was due to give birth, she performed at the Grammys with Jay Z and Kanye. What happened next? She tried to straddle both worlds. She announced ‘Maya’ with the brutal video for ‘Born Free’ but then appeared on Madonna’s album – famously landing herself legal papers from the NFL after flicking the finger at Superbowl XLVI. 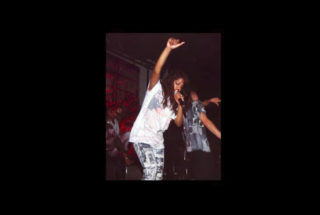 After that, 2013’s ‘Matangi’ oddly seemed to pass under the radar, as MIA continued to criticise governments, presidents, the media, her label and caused controversy with her views on the Black Lives Matter Movement. MIA’s always been an artist to make a point. But if this is her last action, then it’s an uncharacteristically blunt set of knives. Maya says she’s omitted the views on politics, gender, race and substituted them with warm thoughts and love. 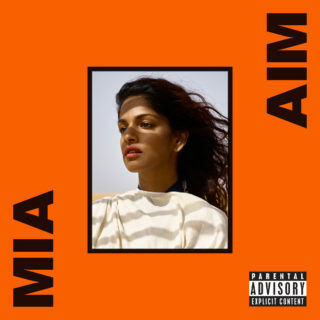 After a history of public disputes she’s even reconvenes with ex-boyfriend and collaborator Diplo who produces/remixes a track on ‘AIM’’s deluxe edition. Saying that, even without the elevating powers of its extraordinary video, it all begins in typical MIA fashion with the thrilling ‘Borders’. ‘Go Off’, too, adds to a bombastic opening and the Blaqstarr (who produces much of the album) remix of ‘Bird Song’ completes a strong start. But then it heads south. With a number of producers involved, and a number of recording studios (mostly in London), ‘AIM’ feels disparate, like a collection of ideas rather than songs. There’s a collaboration with former One Directioner ZAYN – whose contribution is a forgettable, wafty chorus line to a disappointingly generic pop song. ‘Foreign Friend’, a shadowy slice of US hip-hop, passes without note. Skrillex has already lent sounds he adds on ‘A.M.P. (All My People)’ to other artists over the past five years. The Richard X-produced ‘Ali r u ok’ could be great, but goes nowhere, and ‘Visa’’s main highlight is the fact that it samples MIA’s own song ‘Galang’ from ‘Arular’. The album wraps up with ‘Survivor’, MIA cooing “Survivor, who said it was easy?/ They can never stop me” over a set of delicate synths that just drift into the distance. MIA’s powers of provocation may have waned with her most recent releases, but it feels unjust that an artist once so potent might go out with a wimper like this, rather than a bang.